The tiniest of the runts passed away yesterday. In actuality, I was preparing myself. He knew it was likely. It often is; especially in large litters. He said it is quite possible a couple more may not make it. The tiniest often don’t thrive. Possibly they are formed incorrectly in gestation – getting slighted a little then, too. Still. I didn’t like it. Look at those tiny hooves. Today, we have a glorious pre-Easter Saturday! The sun is shining. Every where I walk, I can appreciate the gift of new life. Our little farm allows me to be mindful of how precious each life is. The tiniest of lives lost is a powerful reminder to me. Can you even imagine the realization of life resurrected on that very first Easter? The shock? The Glory? The tears and praise? 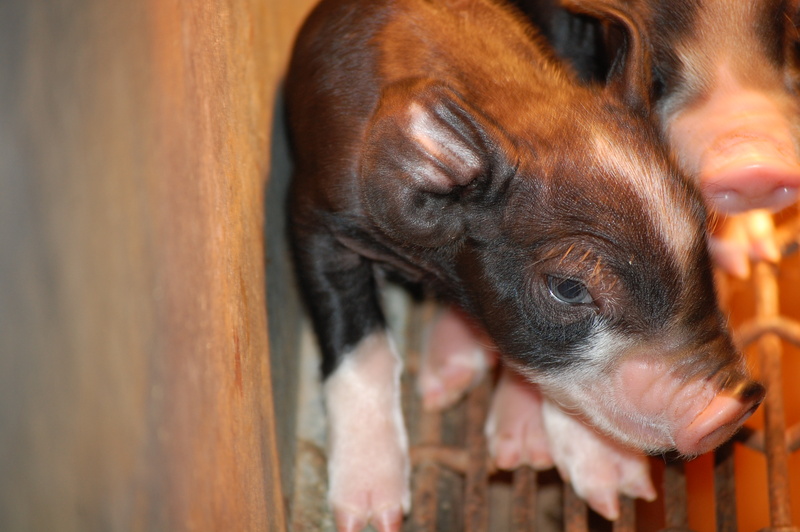 This entry was posted in Berkshire Pigs, Country Living, Positive Thinking and tagged Berkshire pigs, Easter, farm animal photos, new life, piglets, resurrection. Bookmark the permalink. Happy Easter! Your pigs are so cute! Happy Easter to your family from ours. The little ones are really cute. Piglets are so cute! Happy Easter! 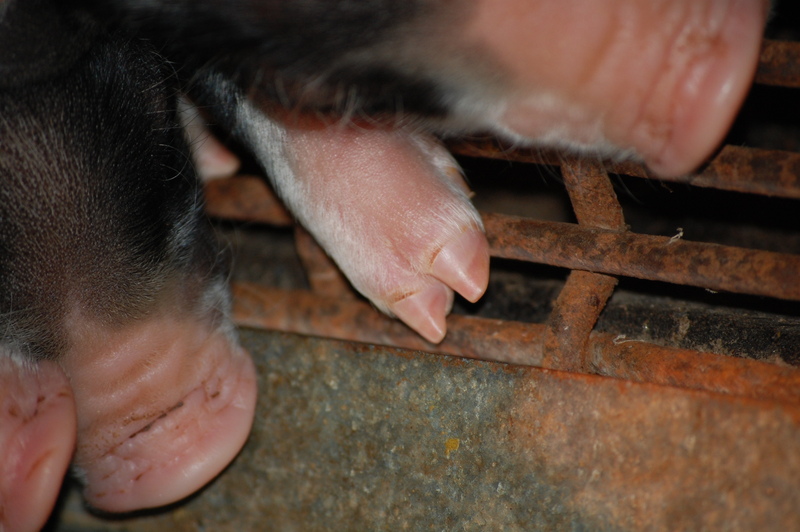 I was pulling for all 14 piglets, although I knew that sometimes the smallest just aren’t strong enough to survive. Have a good weekend and Happy Easter!! Thanks for pulling with me. How fun to be able to enjoy new life on a great day! Thanks for posting pictures of piglets. They make me smile. Happy Easter! 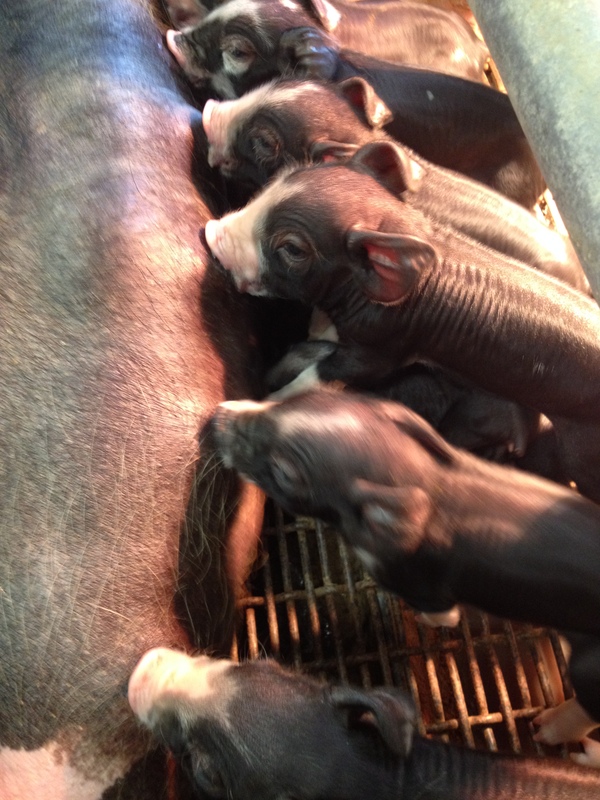 The piglets grow quickly – Happy Easter! The tears and then the glory!!! YES! It would be difficult to lose even one of those precious little ones. Happy Easter. Our Lord has overcome death to give us life. He is risen!